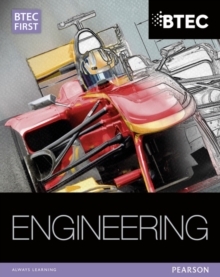 Resources designed to support learners of the 2010 BTEC Level 2 First Engineering specification*. Covers all mandatory and 6 optional units providing the breadth of units needed to tailor this course to the needs and interests of specific groups of learners. Visually-appealing learner-friendly format. Assessment activities in each unit covering all assessment criteria give students the opportunity to practice for their assignments and deepen their knowledge and understanding. WorkSpace case studies take learners into the real world of work, showing them how they can apply their knowledge in a real-life context. 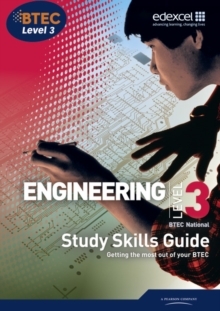 Advice from former students: shows current learners how they can make their BTEC experience a stepping stone to success. 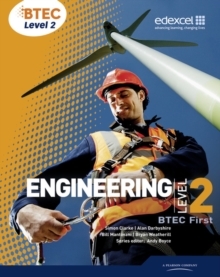 * From 2012, Pearson's BTEC First qualifications have been under re-development, so schools and colleges could be teaching the existing 2010 specification or the new next generation 2012-2013 specification.